NEW YORK - With e-book sales exploding in an otherwise sleepy market, Random House Inc. announced Monday that it was making thousands of additional books available in digital form, including novels by John Updike and Harlan Coben, as well as several volumes of the "Magic Treehouse" children's series. Is Now That Much Easier! How would you like to get your book in front of 4,000 independent bookstores and/or 40,000 librarians in one easy, cost-effective step? Jenkins Group, America's leading publishing services firm, invites you to participate in Review Direct, a simple and powerful marketing campaign that delivers your title information to two of the industry's most sought after sales channels. With more than twenty years in business, we understand the frustrations authors and publishers face when working to expose their titles to both libraries and independent bookstores. Review Direct helps solve these challenges with two unique programs that can work either independently or together for increased visibility. Our Independent Bookstore Review Direct program offers you the opportunity to share your book with the decision makers of approximately 4,000 independent bookstores around the country. Through an informational PDF document created by our staff, your pertinent book and contact information is sent via email as part of our Review Direct Emerging Titles monthly newsletter. The document delivers a cover image of your book and additional information that bookstore buyers need when making buying decisions, including title, ISBN, price, format, category/genre. Your 75-word description of the title is also included. To further enhance your listing and increase your sales potential, you may wish to have review copies on hand to ship to interested buyers. You might also consider adding the Library Review Direct to increase your exposure. Our Library Review Direct program delivers your book information to over 40,000 public and university librarians around the country. Again, through our informational PDF document created by our staff, your pertinent book and contact information is sent via email as part of our Review Direct Emerging Titles monthly newsletter. The document delivers a cover image of your book and information librarians need to make their decision including title, ISBN, price, format, and category/genre. Your 75-word description of the title is also included. You may wish to combine the Independent Bookstore and Library Review Direct programs to increase your exposure. Receive the benefits of both programs by combining them at one low, discounted price. The complete program offers the delivery of your book information to our independent bookstores list and the complete librarian database for more complete coverage. If independent bookstores and libraries have always been an area where you feel your book may flourish, Review Direct can help you. To obtain a registration form, learn more about the Review Direct program, or any of the other Jenkins Group marketing services, please contact Kim Hornyak, Director of Book Marketing, at 1.800.644.0133 ext. 1013 or via email at khornyak@bookpublishing.com. Ask about our extended run discount! Give yourself and your book the chance you both deserve. Tywebbin Creations NEXT LEVEL Marketing - Online Promotion Made Easy! I recently had the good fortune to interview freelance writer, editor, speaker Yvonne Perry about her new eBook, Book Marketing in the Digital Age, Online Promotion Made Easy which gives authors the basic tools needed to get started with successful online book promotion. During the interview, we talked about how many authors (not necessarily the self-published ones) do not realize that they are the ones responsible for marketing their books. Those who have discovered that their books are not selling without being marketed have many questions about how to get started and do it right. So by breaking the preparation and process down into bite-sized pieces, authors who read Yvonneâ€™s eBook will begin to see changes in their Web ranking and book sales within just a few months of devoted use of the techniques. So how does Yvonne know what she shares in her eBook will work?Â Well during her 2007 online blog tour, her book reached #2 in Amazon's bestselling books for the biomedical category! Why did Yvonne write this new eBook to help authors with online book promotion? What kinds of information are found in Book Marketing in the Digital Age? What is the advantage of publishing an eBook over a printed book? What does an author need to promote a book online? What are some of the most effective book marketing tools authors can use on the Internet? How does marketing fiction differ from nonfiction? If someone follows this eBook, how long (on average) does it take to see some results? Where can readers find out more about this eBook online? Then stop by www.onlinepromotionmadeeasy.com to purchase the eBook and sign up to receive Yvonneâ€™s email newsletter filled with more great online book promotion tips! Marlive Harris is the founder and business owner of TheGRITS.com, an online reading and book promotion community for readers and writers of all ages! Monday Marketing Tip | Authors do you Squidoo? Prison Chronicles Series E-Books Now Available! Prison Chronicles Series now available as e-books! Experience the story that started it all! The Breaking Point is the powerful story of a woman's imprisonment for the brutal murder of her husband. Vanessa Jackson is a reporter from the Women's Lib Magazine, on assignment at the Wayne County Women's Correctional Facility to interview Marion Hayes and find out what drove her to kill. You will fall whole-heartedly into this roller-coaster journey through the life of a woman who has seen every kind of hardship life could have to offer. Plunge with Vanessa into the troubled mind of a woman who is a prisoner of her own mind and emotions, to find out what finally drives her to murder her childhood sweetheart and loving husband. Find out what drives her to the breaking point. In this second installment you've never seen adultery turn out so badly! Vanessa Jackson is back on assignment at the Wayne County Women's Correctional Facility and this time it's to interview Timberlynn Crawford, a young woman who is sentenced to life for cold-blooded murder! Vanessa Jackson is at it again, and this time her assignment at the Wayne County Women's Correctional Facility has brought her to Dawn Langston; a woman turned vigilante against the man who kidnapped, raped, tortured, and then brutally murdered her sister. The violently cold-blooded and savage nature of the crime leads Vanessa to question her ability to execute her assignment successfully. As Vanessa continues her crusade as "the voice" of the lost and forgotten souls that inhabit the prison walls, she finds herself on the brink of an emotional breakdown as she falls deeper into their world of pain, loss, and sorrow. Check out the trailer for Janaya Black's new movie Till Death! This magical presentation features approximately 70 works of art created specifically for children's books. Planner's Paradise! Packages start at $345. The hotel is located 4 blocks from French Quarter and 5 blocks from the Superdome. The bus will depart July 3, 2009 from Augusta, GA and return July 6, 2009. Once deposit is made a monthly payment of $60 is due with final payment due April 15, 2009. Space is limited and going fast, so hurry and reserve yours today!! ADVERTISING IS AVAILABLE ON THIS PAGE. EMAIL ELLA TO HAVE YOUR EVENT FEATURED. ** Email Ella to inquire about marketing and publishing coaching. NCWC SD "Stir Up The Gift That is in You"
Write, Publish and Market Your Book, Today! Publish Your Book Online FREE We will show you how. . . The Registration fee will include breakfast, lunch, expert support and conference materials. • Early Registration (before December 1st, 2008) $ 59.00 attendees must pay the full cost. The Ritz-Carlton, Grande Lakes in Orlando, Florida. ** Email Ella to inquire about event details. March 11-14, 2009 "Making Waves"
Malcolm X Blvd. to Frederick Douglass Blvd. International Christian Retail Show 2009! 2010 ESSENCE Short Fiction-Submit Early! "Celebrating the Artistries that Glorify God!" Tiime: 12 noon - 6 p.m. Author Requests must be received by March 1st 2009 to Lee McDonald, The Renaissance Group. Submit Your Book for Review NOW! 931A Capital Centre Blvd, Largo, MD 20774. "Open a Door...Open a Book...Open your Mind...to the World"
One in 3 females and 1 in 5 males are molested! Diddy is doing it. Jermaine Dupri is doing it. Weezy F. Baby (please say da Baby) is doing it. Barack Obama is doing it. Even Wayne Sutton and Bwana are doing it. So what are you waiting for? What's stopping you from posting video online? It's a lot easier than you think. You don't need any special equipment, you don't need any special technical knowledge, and you don't even need to have a website yet. If you have a cell phone that does video and you can send those videos via Email or MMS, you're good to go. 12seconds, previously covered here, is a service that allows you to post 12-second video clips. Got something you need to get off your chest real quick? Is your friend about to do something really stupid? Just wanna sing a couple lines from your favorite song? 12seconds.tv is the spot for you. 12seconds is still in private alpha, but I do have 7 invites to get rid of, so leave a comment and I'll get one to you. When you sign up for 12seconds, you get a unique email upload address. Shoot your video and then shoot it over to 12seconds using Email or MMS. Full details are on the 12seconds help page. You can also have 12seconds automatically tweet your new videos for you. EDIT: The guys at 12seconds.tv hooked me up with a mess of invites just for you guys, so leave a comment or hit me directly if you want one. What? You didn't know the most well-known video site of all time allows you to upload video from your mobile phone? YouTube will probably get you the largest audience for your videos just because it's YouTube. To get started: go to My Account, then Mobile Profile or just hit Upload and you should see the link to set your mobile preferences in the right sidebar. The official help page is here. YouTube also has a feature that will automatically post videos that you upload directly to your blog for you. Yeah, I thought they were just a site to store MySpace glitter graphics too. Seems that Photobucket has a few tricks up it's sleeve, though. Just log in, click mobile phone on the right side of the uploader, and you'll get your unique posting address. For step-by-step instructions on uploading photos and video to Photobucket from your mobile phone, check out their mobile device tutorial. This was another surprise to me. What can I say? I don't get out much. I knew you could upload photos via email, but you can send video attachments as well. You can even set your privacy levels simply by adding to the email address. For example, if your unique Flickr email address is blackweb20rulz@photos.flickr.com, you would use blackweb20rulz+friends@photos.flickr.com to make sure only your friends can enjoy your stuff. For details on the upload-by-email feature and to get your unique upload email address, visit your account setup page. Flickr also has a feature that will automatically post the videos you send directly to your blog of choice. This is the real deal when it comes to video blogging and podcasting. Blip.tv provides the hosting, promotions and reach you need get your videos to your audience. They also just so happen to make posting to your video blog easy by providing you a unique posting address. Visit Blip.tv to get the full mobile video walkthrough. Blip.tv also has a cross-posting feature so that videos posted from your phone will automatically be posted on your blog for you. Yes, your absolute favorite social networking site actually allows you to upload video from your phone. All you need to do is add the video application (you probably have it already) and then send your videos to video@facebook.com. Since this is not a unique address, your cell phone will need to be registered to your account. Just hit Settings and then Mobile to make sure. Probably the best site to use if you're concerned about quality, Vimeo also offers the ability to upload video from your mobile device. Simply login to your account and click Upload Video. Scroll all the way to the bottom of the upload page and you will see your unique email upload address. It doesn't appear that Vimeo will automatically post to your blog, unless you happen to use Tumblr. Tumblr will connect to your Vimeo account and then automatically post whatever video you send to your Tumblr posting address. Login to Tumblr and get your posting address on the Goodies page. Why doesn't Tumblr have it's own section? Because you have to have the Vimeo account to make the magic happen. Why Are You Making This Hard? It's so easy. Pick a site that works for you and start video blogging. Just don't call it "vlogging" because that's not gangsta. Do you know of any other easy ways to get your videos online? Have further questions about how to get going? 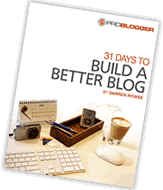 Just want to leave a link to your video blog? Leave a comment. I have a few more slots left in the author yearbook, if you were interested in this exciting promotion. If you sign up before December 1st, you'll get a free ad in the newsletter I'll be creating starting this coming spring (late spring) that will go to my list of 30,000 readers every quarter. If the newsletter is successful and the readers want, I'll put it out more often. Yearbook is in print and ebook. It is offered free in e-format to the list of 30,000 + readers, and also sent to my list of librarians and booksellers (about 3000 in all). Radio interviews. I have a limited number of these, but have just a few left. These will go on my radio network and will also be made available to a couple of hosts I know for free use. We will also be uploading as podcasts. Free ad in quarterly newsletter sent to 30,000 readers (if registering by Dec. 1st). Some other things we're looking at is getting it hooked into some social networking and a separate website where readers can browse the book for free until it's time for the next yearbook (generally every other year). I'm open to ideas from the group for how to get the word out to even more people. Each time this project builds and snowballs bigger and bigger, which is a definite plus for those involved. This promotion is always very successful for us. I've seen an increase in sales from it and have had readers bring the book to signings for autographs. It's a good group promotion and nice way to meet new readers. If you have any questions, feel free to email me. You are welcome to share this email with others, but you might want to reserve your spot first. Remember that I only have a limited number of the radio promotion slots available and they will be first come/first serve. If you want to make sure they are still available, please email first. Or, you can sign up now by clicking on the links below. Reserve space with first payment of $96 (please note that this is a limited two month subscription. One subsequent $96.00 payment will be taken out in December and you will be invoiced separately for the final payment in February - total of 3 payments). Visit my website at www.lorisoard. com for updates on my latest books and other news. Need a good copyeditor or ghost writer? Lori Soard has edited for many publishing companies and corporations, including AD Books and Kensington/Zebra. Spend 30 minutes with me! Plus get FREE Ebook on Web 2.0 Techniques. I get tons of emails from Christian authors who really want to know how to market and promote their book and ministry. I hear you and I want to help! Learn about BRANDING, blogging, podcasting and social networking! I will make myself available once month in a "mini-coaching" teleclass! I will give you tips, techniques and contacts to craft your marketing and PR campaigns. I've worked with more than 200 Christian authors over my career as a literary publicist. I have a few things I can share that will make your book publishing journey a little bit easier. 30 minutes LIVE for 30 bucks! I will give you a ton of information that you can put to use right away to promote your book! Then email me at pamperry@ministrymarketingsolutions.com. Send me info regarding your book so I can review. (Just the synopsis or press release). Please feel free to send me your questions too via email ahead of time. I will answer each and every question personally and provide you with resources! Once registered, you will be given directions on how to get on the teleclass! Hear about how you can "Be The Media." Visit my new Social Network: www.ChocolatePagesNetwork.com and see my blog ww.MinistryMarketingSolutions.blogspot.com - FREE STUFF! Good STUFF!